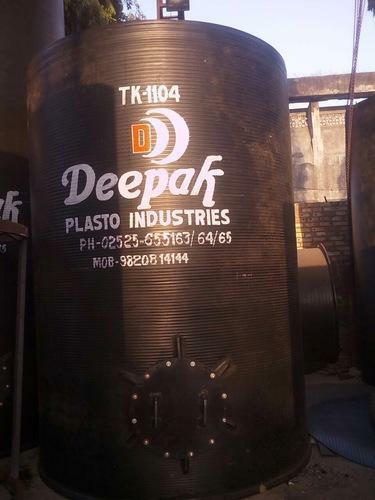 We are amongst the leading Manufacturer, Exporter, Importer and traders of HDPE/PP Chemical Storage Tank, Reactor Vessel & Scrubber System etc. Services are also provided by us, at the best possible rate with the best Quality. Being the leading Manufacturer, Trader and Supplier of enormous range of complete variety of Storage Tank & Vessel. Used in various fields be it mechanical, electrical and chemical industries, we believe in best quality for competitive, reasonable and affordable prices. Delivering quality has always been our chief concern, for this all our product are ISI marked. Owing to our prompt and quality delivery of these products we have cultivated name and fame for ourselves. We offer a wide range of product with diverse features suiting the modern requirements of the market.